OK, so this book took me a loooooooong time to find. I’ve actually never seen one for sale before last week, and I’ve been looking for years. Years. 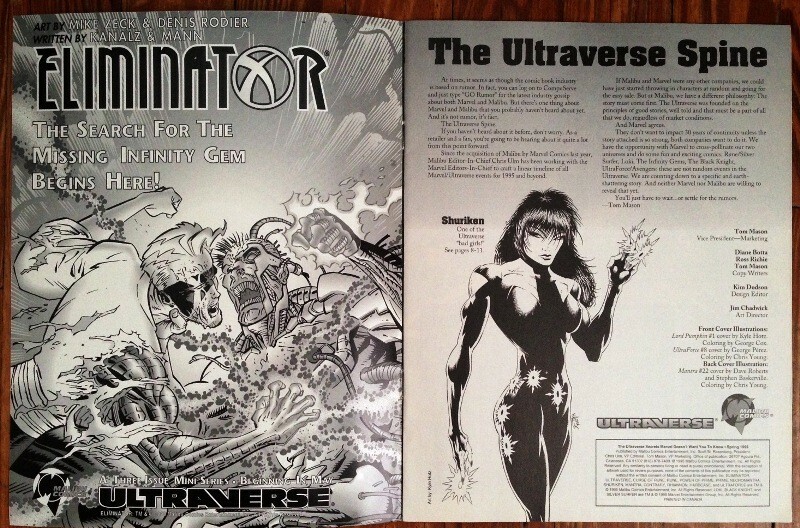 I know several other hard-core Ultraverse collectors, and all but one of them had never seen one, either. But there it was on eBay for a $5 BIN. That’s a no-brainer. 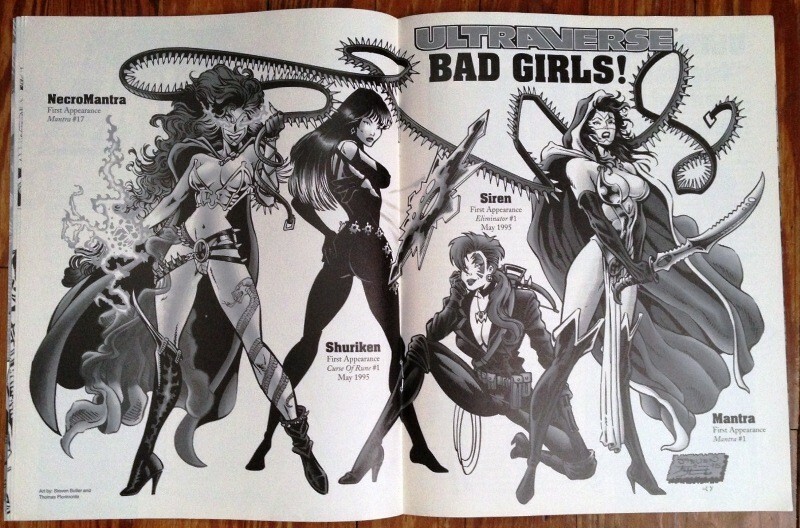 It’s not a comic book (it’s about the height and width of a regular sheet of paper). 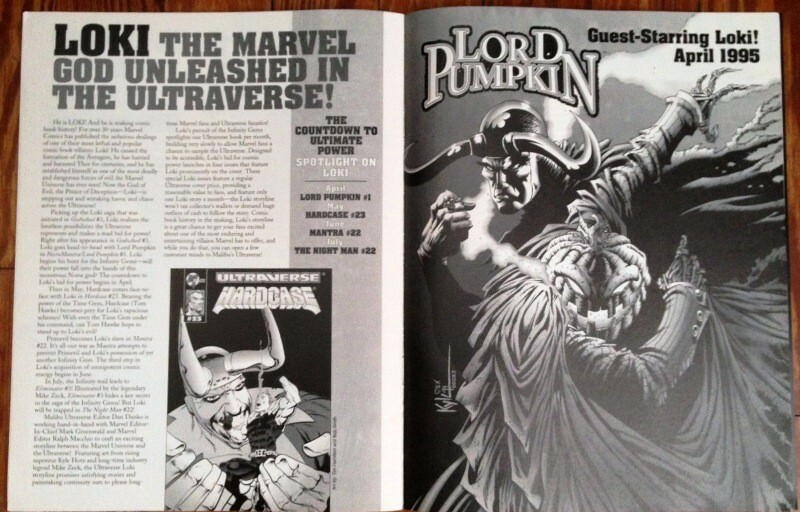 I’m pretty sure it was just one of those promo booklets that used to be thrown in with the weekly shipments to comic shops around the country. 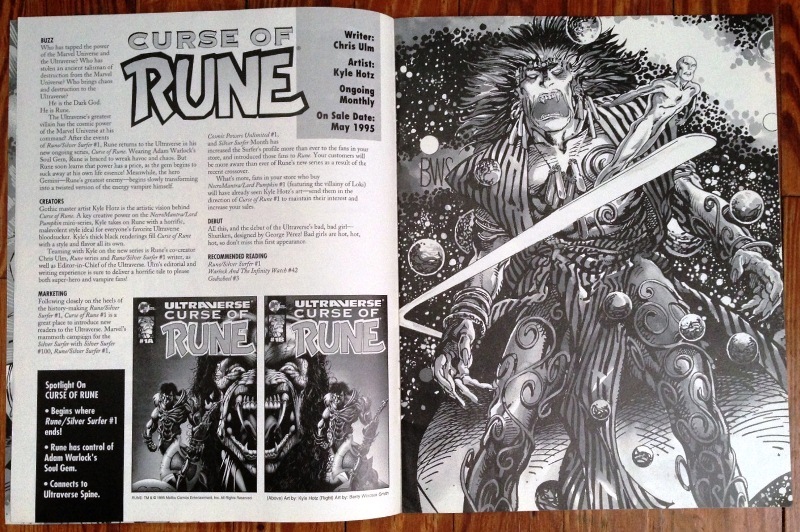 Back in the 1990s I had a friend who owned a shop and I would work for him one day a week in exchange for comics. Good for him, good for me. 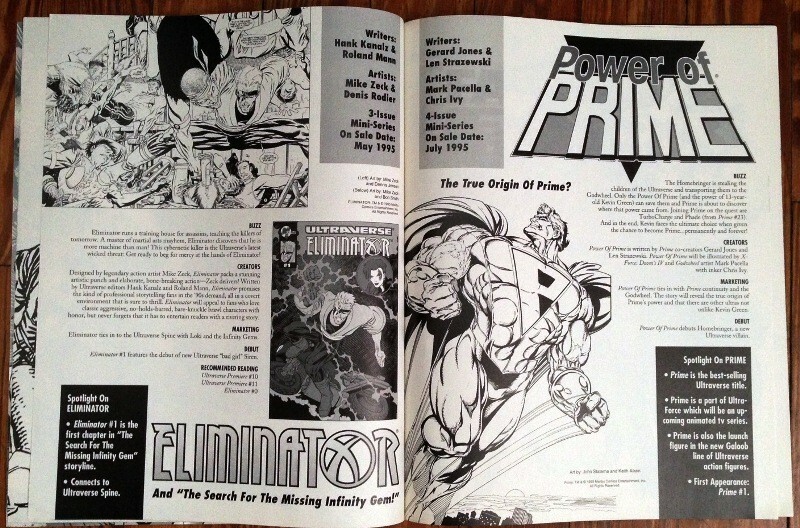 Each week the comics would arrive in several boxes and there were always promo booklets, posters and what-nots from all the big companies. I’m pretty sure that’s what this book is. 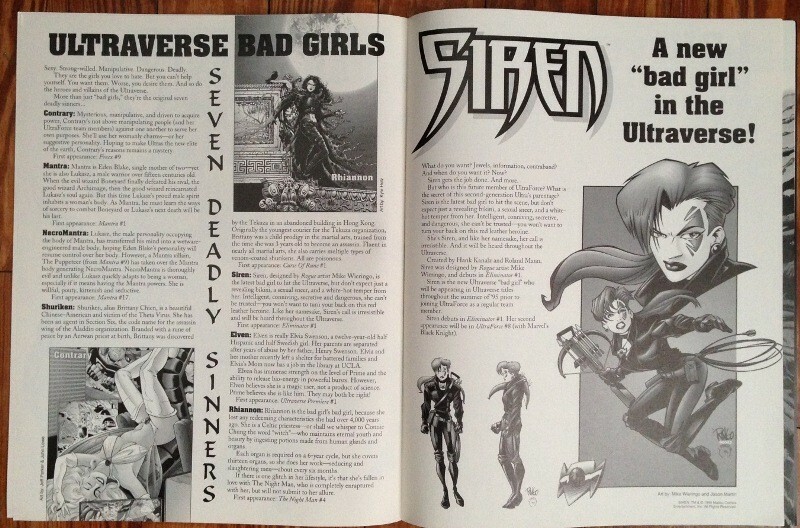 It’s a bunch of pin-ups and text blocks hyping upcoming titles and storylines. I read through it; it’s interesting and makes me miss those days. Ah, well. There were probably several thousand of these printed. Of those, I’d wager the vast majority were tossed in the trash. There might be some more in warehouses or garages, but it’s not really something that your average comic book collector is chasing. I’m not saying this is rare, but it is really freaking hard to find! So what’s the big deal? 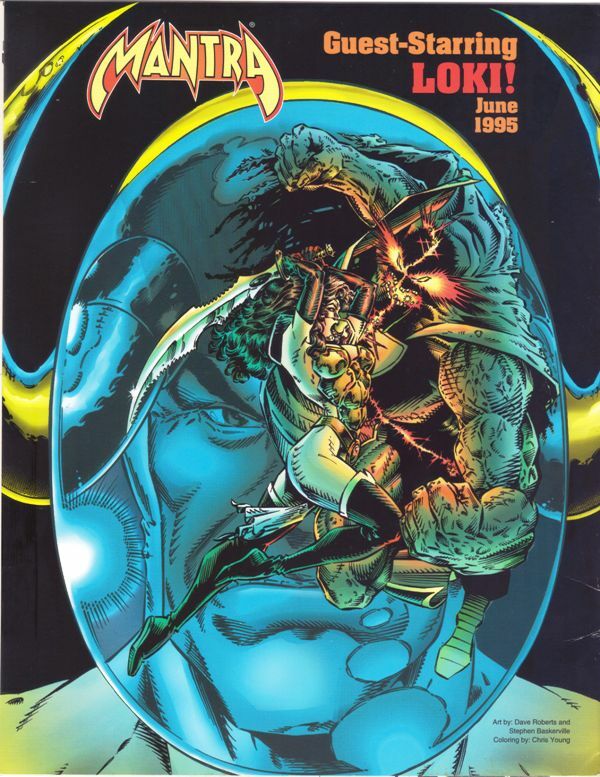 I know for those of us over at Valiantfans.com who tried to put together an Ultraverse checklist a few years ago, one of our best early resources was this site by a guy named Big Tel. 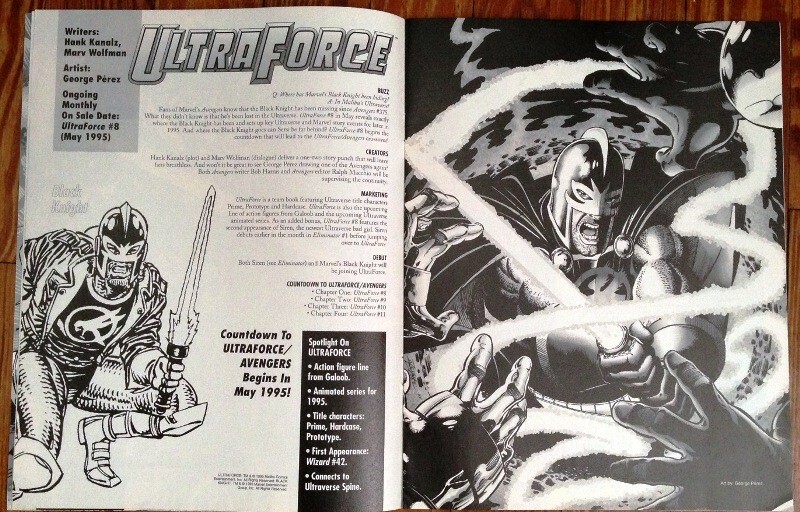 His site had scans and a little bit of info on all kinds of Malibu variants, and really helped us get the ball rolling. That site has since been taken down, but before that I didn’t even know things like gold holograms existed. 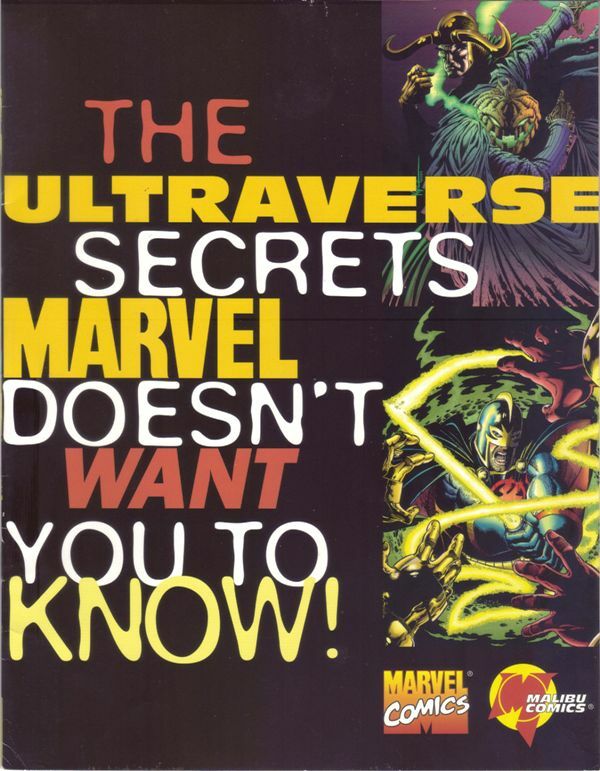 Anyway, one of the things on there was this book, The Ultraverse Secrets Marvel Doesn’t Want You to Know. None of us had ever seen it, and I’ve been hunting one down ever since. 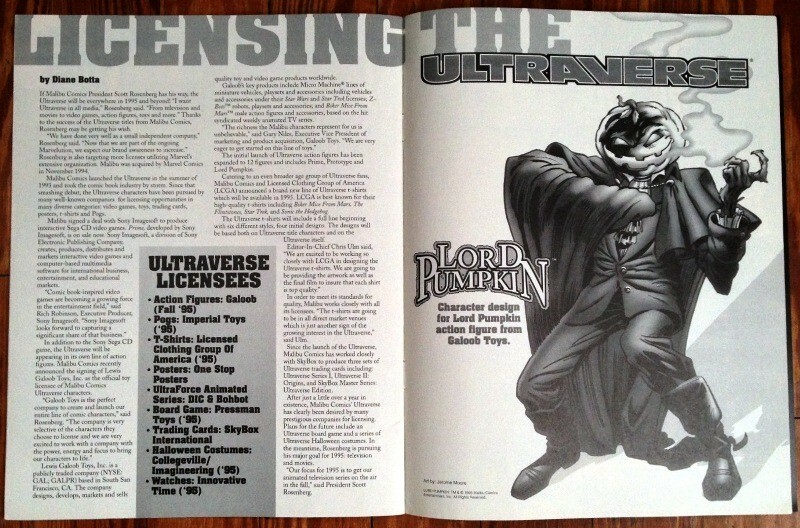 If it had not been on Big Tel’s site during the early days of mapping out the Ultraverse checklist, I don’t think I would have cared too much one way or the other. But now that I’ve put so much of an effort into finding one, it feels nice finally putting this in my collection. I was going to scan in the pages but it’s too big to fit on my scanner. So I just took pictures; those are all down below. 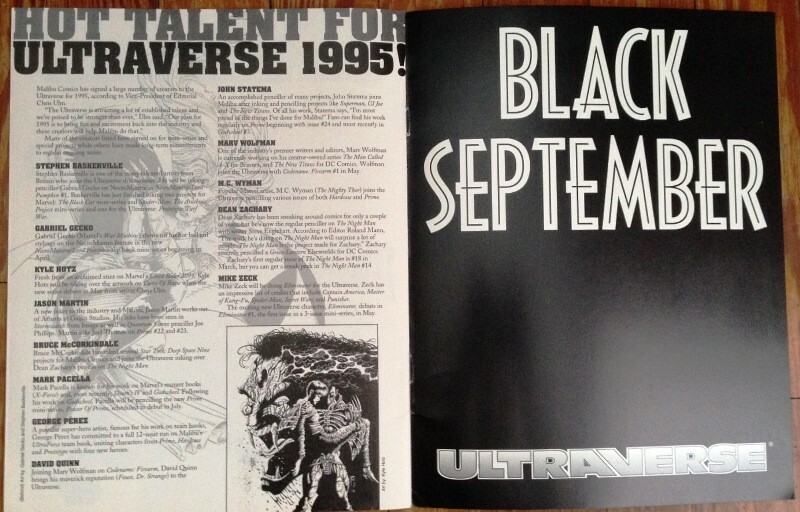 This entry was posted on Monday, November 4th, 2013 at 8:36 pm	and tagged with Ultraverse and posted in Other stuff, Premium books. You can follow any responses to this entry through the RSS 2.0 feed. This is too awesome for words. Nice find! I think you’ll like one of my next updates!